Ronnie decides to return to Elounda and work as an artist, selling her water colours in Saffron’s shop. Intrigued by the techniques of painting on enamel Ronnie visits England during the winter to learn the art. She becomes friendly with her tutor’s son, Geoff, and he arranges to visit her in Elounda the following year. Returning to New Orleans for the winter she examines the photographs her uncle has unearthed dating back to when he was a boy in Crete. A surprising family secret is uncovered and Ronnie enlists John’s help to uncover the truth. Geoff’s visit to Elounda does not go according to plan when he decides he prefers to spend his time with, Caro, a friend Ronnie made whilst travelling back on the ’plane. His long term plans are dashed when Ronnie breaks some unwelcome news to him. 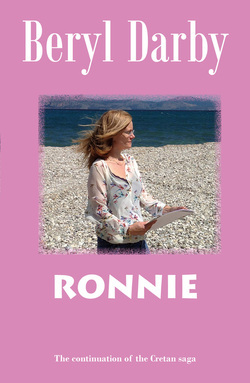 John’s research uncovers some unpleasant family history for Ronnie, but provides an additional incentive for her to remain in Crete for the foreseeable future.